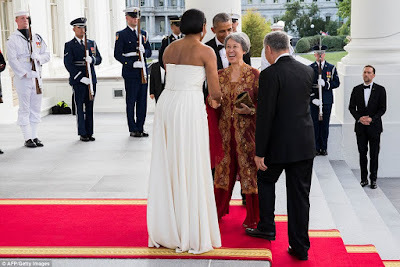 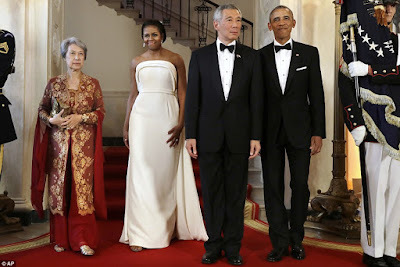 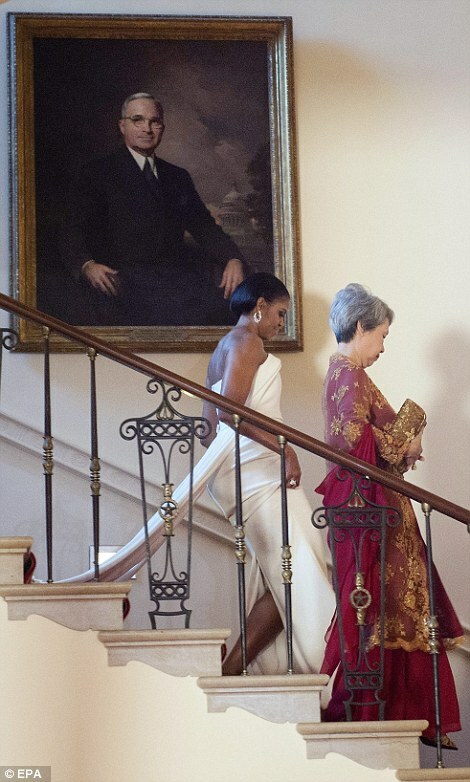 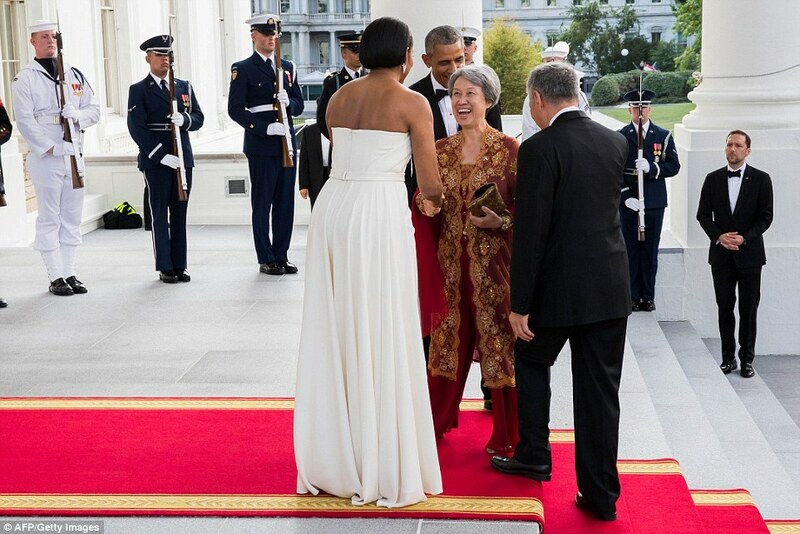 President Obama hosted Singapore's Prime Minister Lee Hsien Loong and his wife, Ho Ching at the 12th state dinner Tuesday night in Washington. 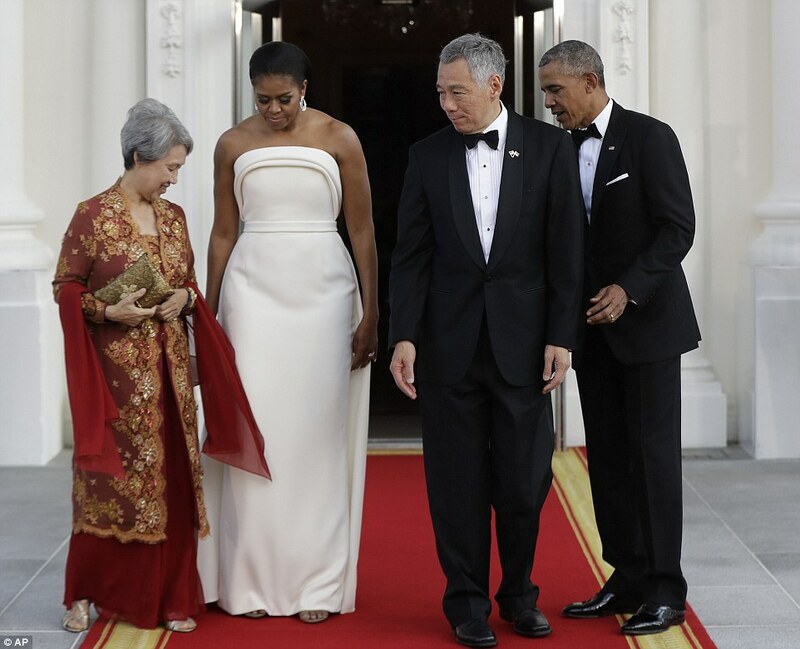 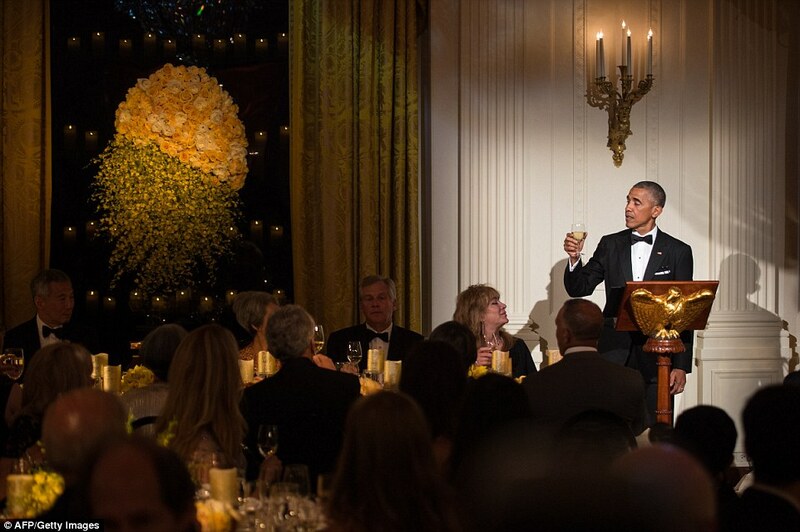 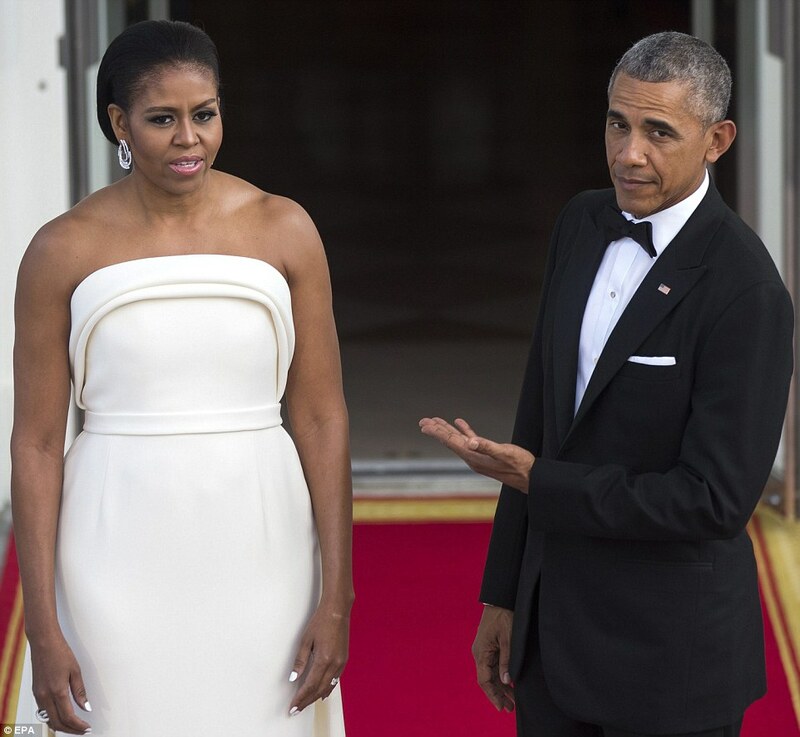 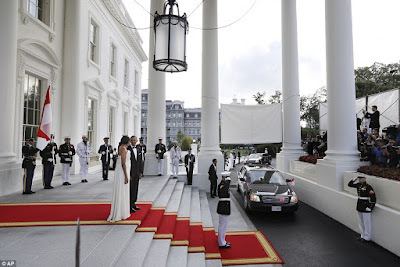 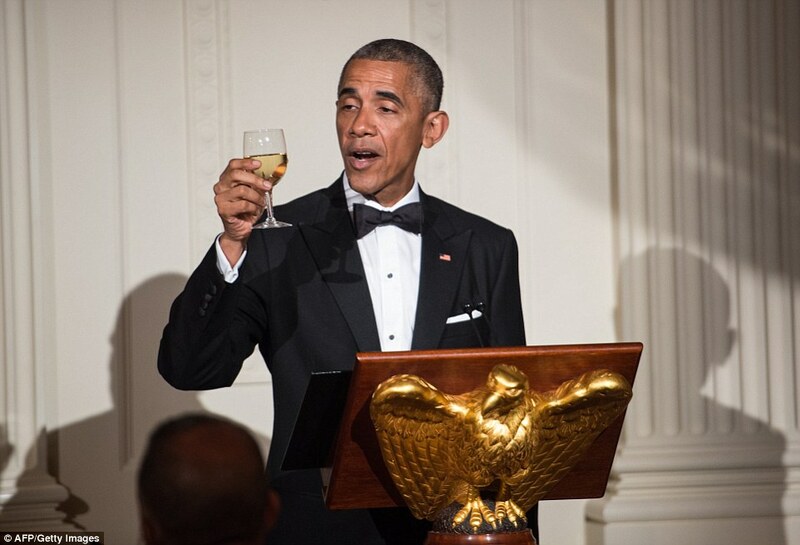 The black-tie affair – called by the White House a 'celebration of summer bounty' – marked the 50th anniversary of bilateral relations between the U.S. and the city-state, which Obama referred to as an anchor for the U.S. presence in Southeast Asia. 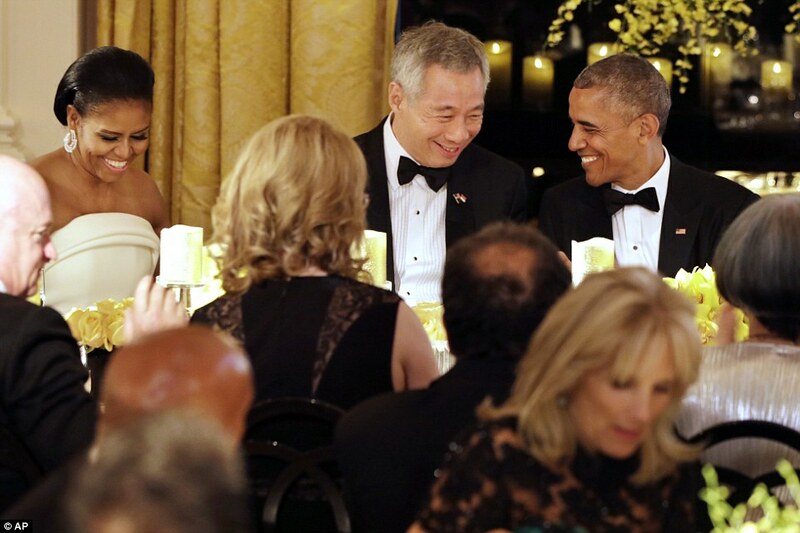 More photos after the cut..